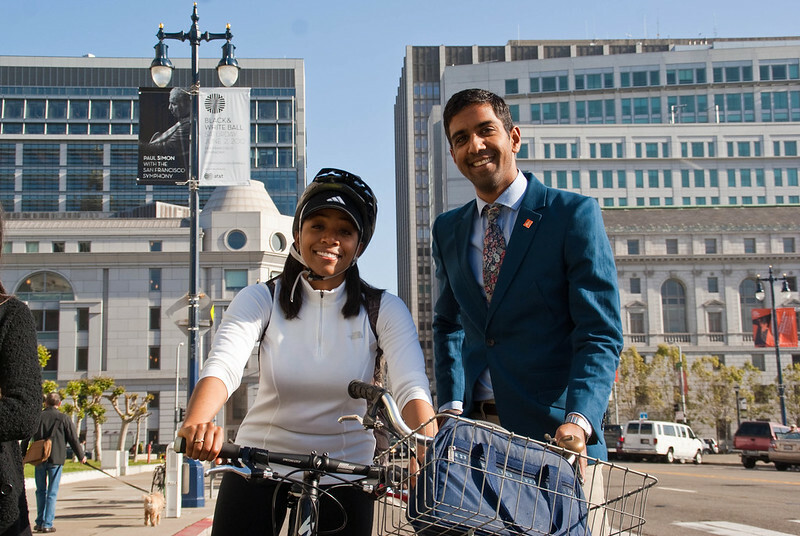 Neal Patel will be leaving his position as planning director at the SF Bicycle Coalition to join the SF Municipal Transportation Agency’s Livable Streets team, bringing his talents in community outreach to city government. “I’m really excited to be moving over there, although it’s been an amazing experience” working for the SFBC for the past six years, he said. Patel has led the SFBC’s advocacy efforts, reaching out to residents and merchants to build support for recent bike lane and pedestrian improvements on streets like Fell and Oak, Masonic, and Polk. Patel is the second SFBC staffer to take up a position at the SFMTA recently. It was exactly one year ago that Andy Thornley, the organization’s former policy director, announced he would join the SFPark team. The SFBC said Patel’s last day at the organization will be on June 20 at the organization’s Golden Wheel Awards. Couldn’t happen to a nicer fellow. Neal was a joy to work with on Cesar Chavez. SFMTA is lucky to have him. Congrats to Neal. Glad he’ll still be around working to make San Francisco better. Excellent for the City. Neal has been a smart and wonderful advocate for a livable and humane San Francisco. Congratulations. Smart, hardworking, nice, and good-looking! Goodonya Neal! Aw, Neal, we’re going to miss you! SFBC’s loss is The City’s gain; luckily I’m part of both. You’re going to rock.